Pluto is not considered as a planet anymore! The little planet has been demoted but do note that it has got a new tag. It is now known as a dwarf planet. It may be smaller than all the planets but it is the largest dwarf planet. Pluto has all the characteristics of a planet i.e it is round. It also travels around the sun but there are certain characteristics which make it dwarf planet which we are going to discuss next. 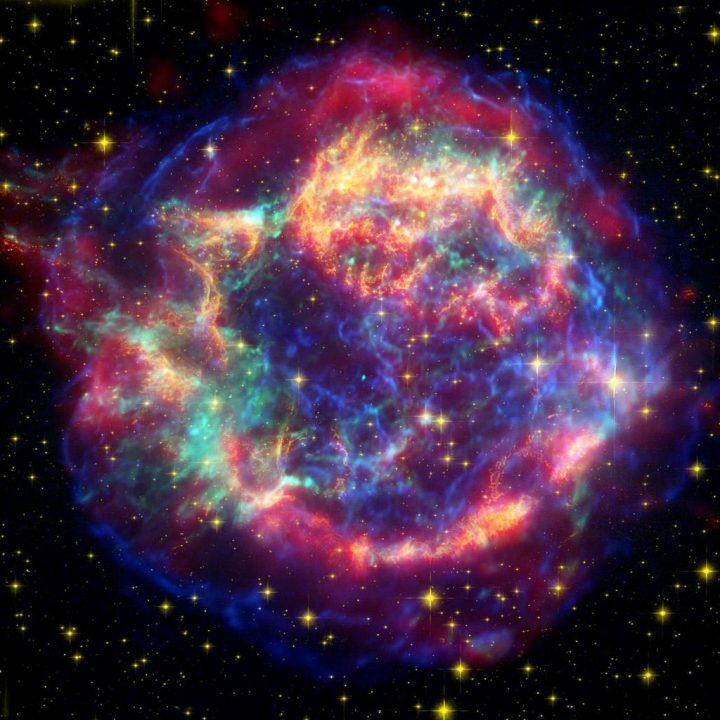 Since Pluto has become a dwarf planet, we thought of dedicating the post to the former planet. Why Pluto is not considered a planet? There are three criterions for being a planet. It must clear the neighborhood, which means that it’s orbit should be clear not filled with other asteroids. Well, Pluto is round and it does orbit the sun. However, it has not cleared the neighborhood. 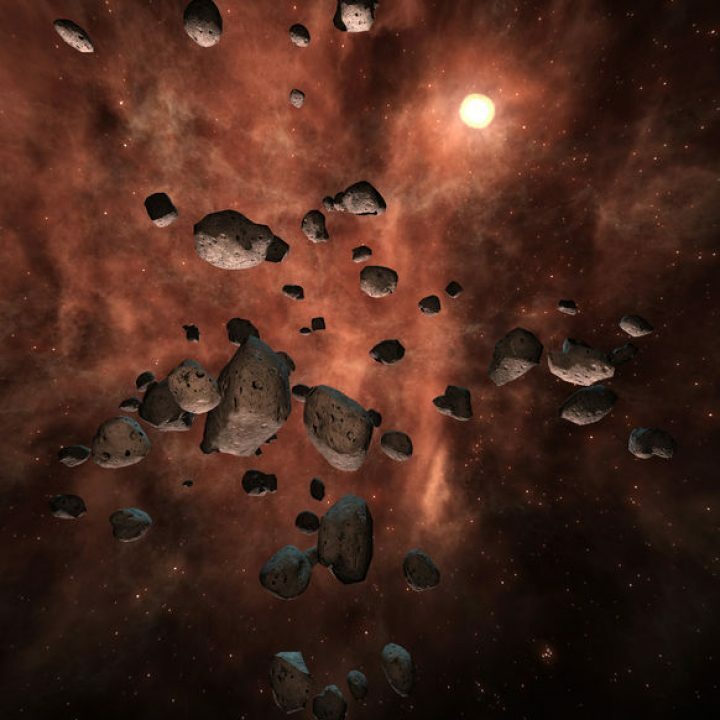 Pluto orbit is filled with asteroids and comets. 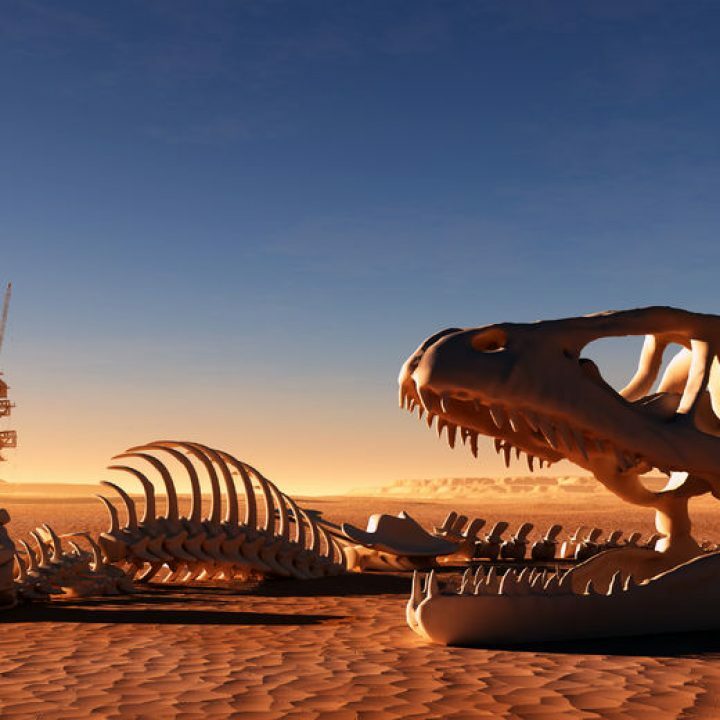 The planet got demoted but it is still enjoying other benefits. Pluto shares the name with four others and we shall mention them for you. 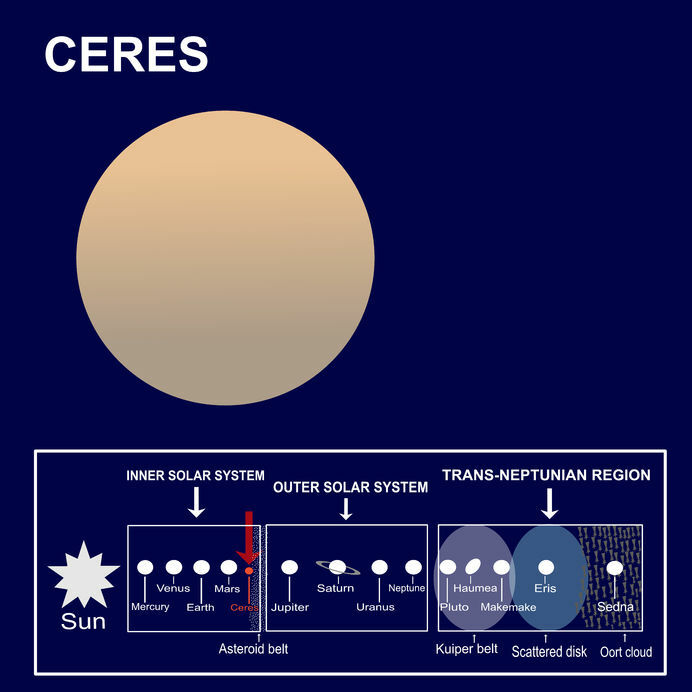 Ceres – Ceres would be a planet but it was because of Jupiter that it did not become a full-fledged planet. It is on the asteroid belt between Mars and Jupiter. Since Jupiter had a strong magnetic field, it did not let poor Ceres to become a planet. It is basically an asteroid but since it is a big asteroid, it is considered to be a dwarf planet. 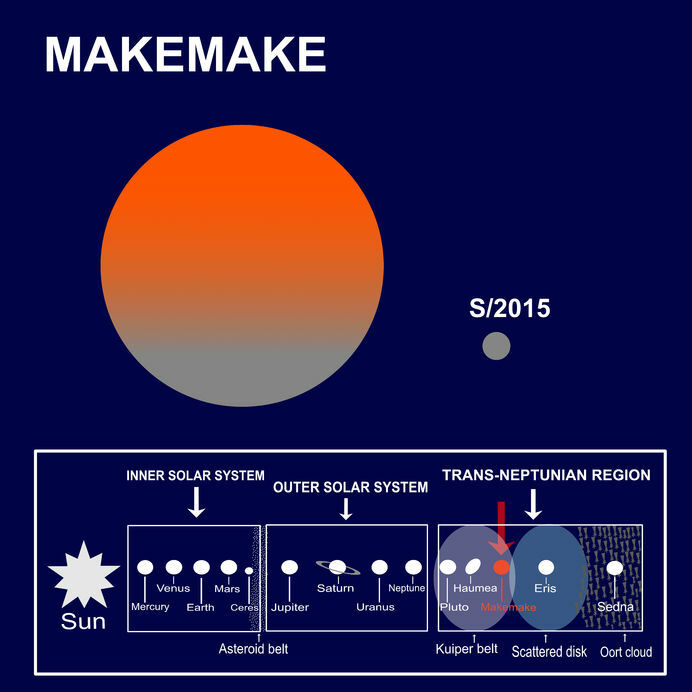 Makemake – It is the third largest dwarf planet and it was discovered in the year 2005. Makemake and Pluto are the brightest objects. It is in the outer solar system. Haumea – It was named as a dwarf planet in the year 2008. It was discovered in the year 2004. It has a unique elongated shape. 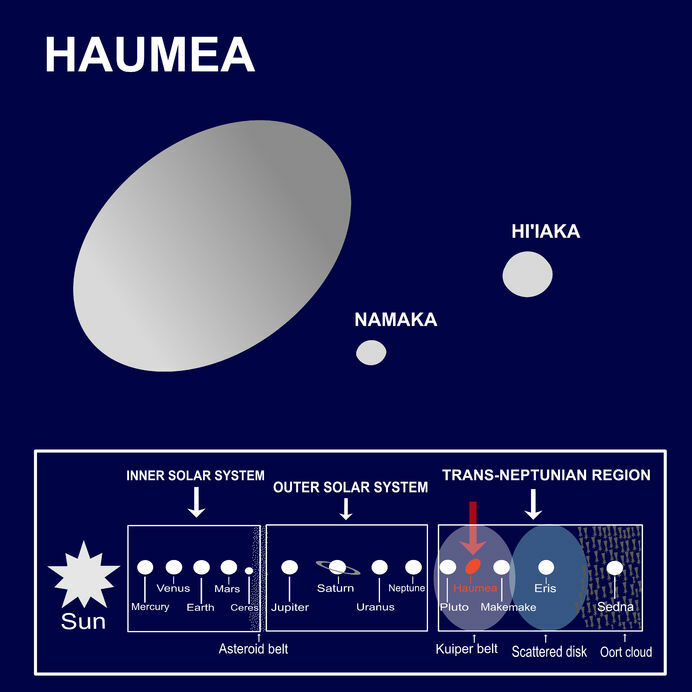 Haumea has two moons – Namaka and Hi’iaka. 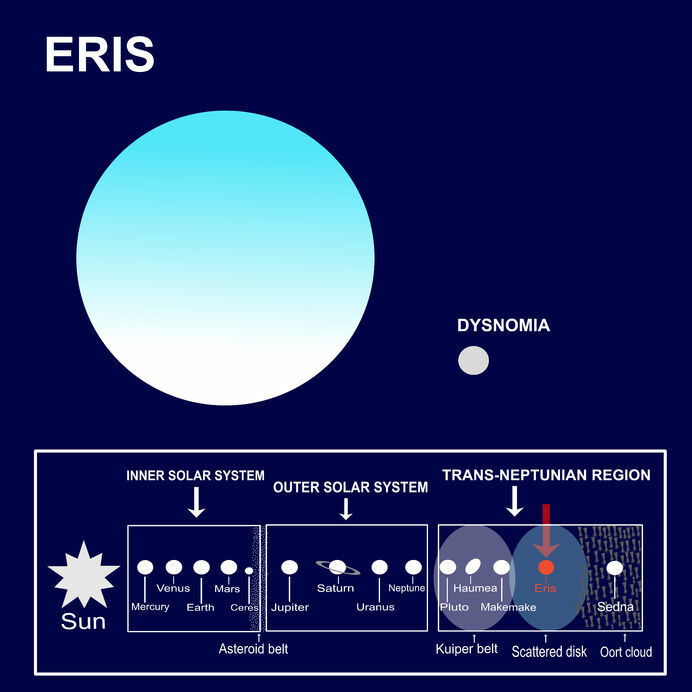 Eris – Iris was discovered in the year 2005. 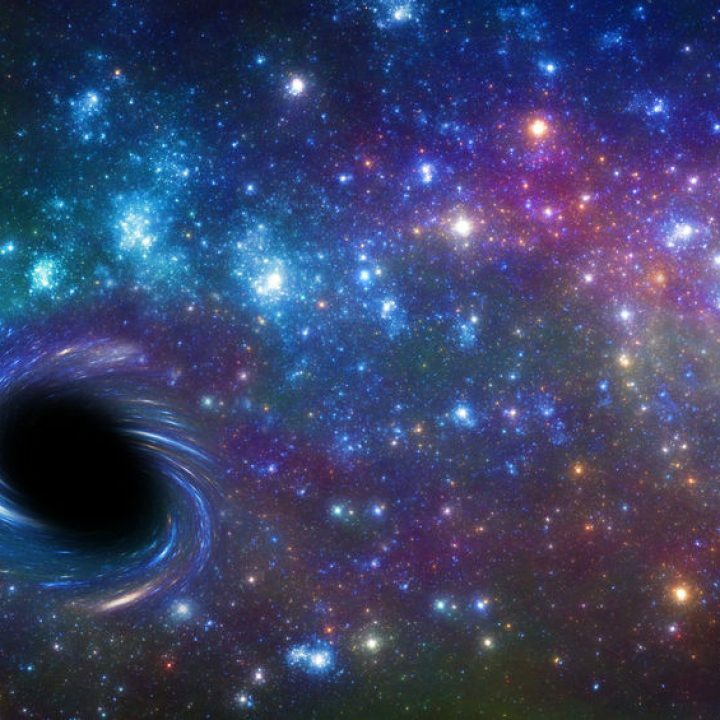 It is the second largest Dwarf and comes right behind the mighty Pluto. 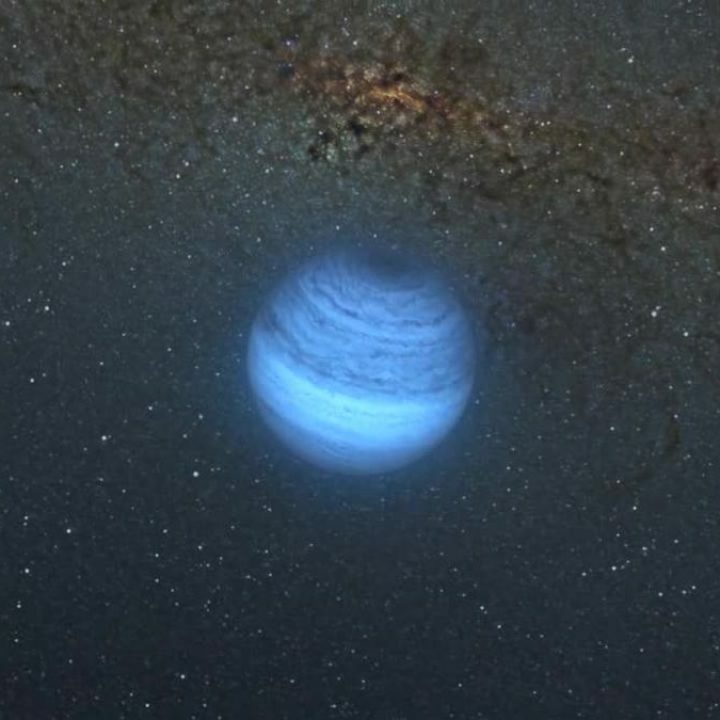 It was referred to as the tenth planet but did not get the reputation and was reclassified in the year 2006. What is the difference between dwarf planets and planets? 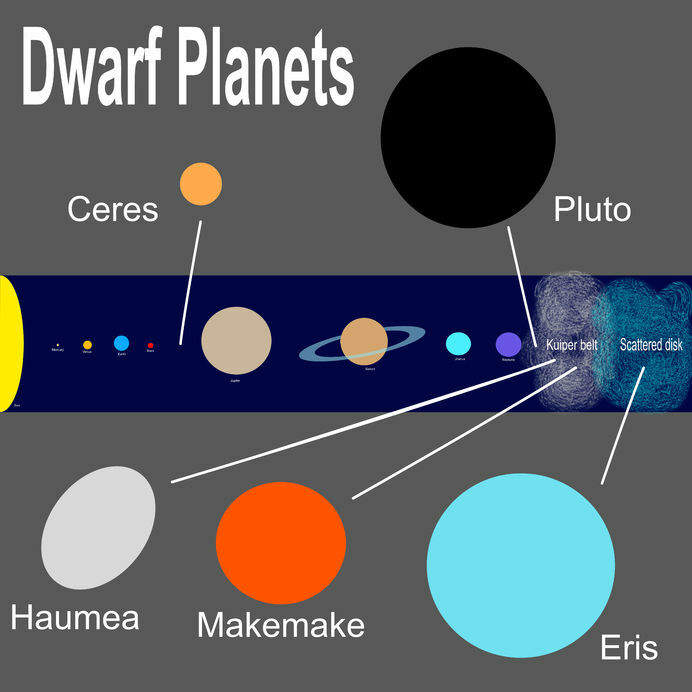 The dwarf planets are similar to the planets but they are smaller in size. Like the planets, they are round and orbit the sun but their neighbourhood is not clear. By clearing the neighbourhood, it means that the planet should not bump into other objects. It should sling away or consume the smaller objects around. Since Pluto does not have a clear neighbourhood, it will have to be called a dwarf planet. The size of Pluto has been decreasing ever since it was found. However, Pluto is leading in terms of size in the list of dwarf planets. It is the largest of all the dwarf planets. 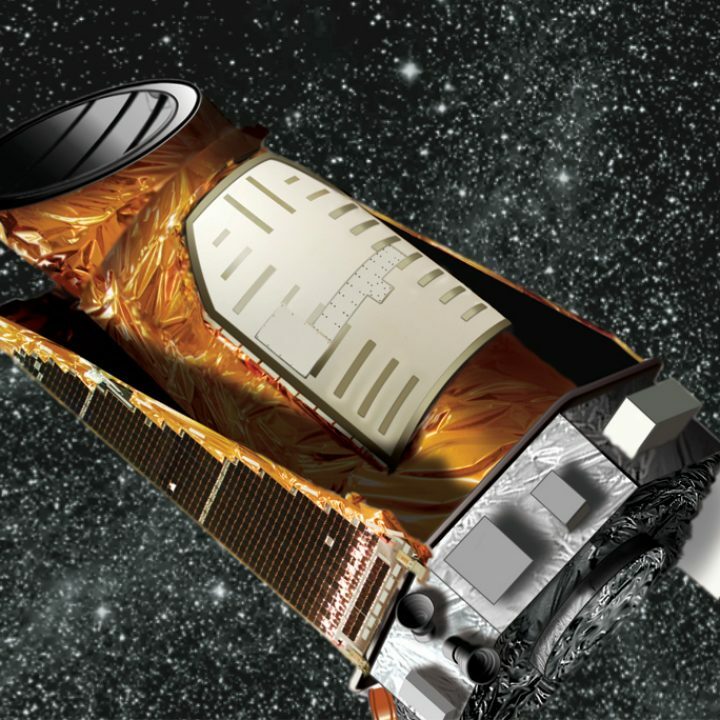 Most scientists still consider it a planet but due to reclassification, poor Pluto would not be able to enjoy the reputation of a planet.